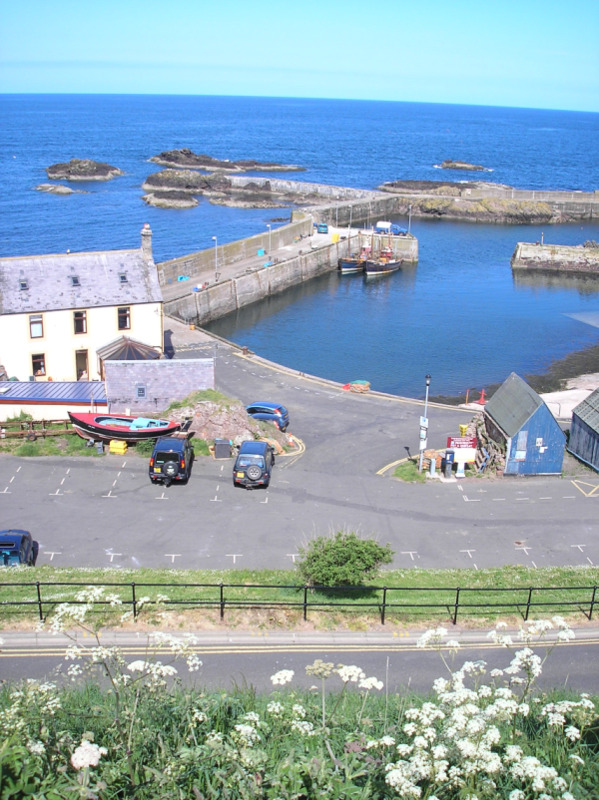 Roundhill Cottage, 1 Castle Terrace, St Abbs (Nr Coldingham), Berwickshire, Scottish Borders. 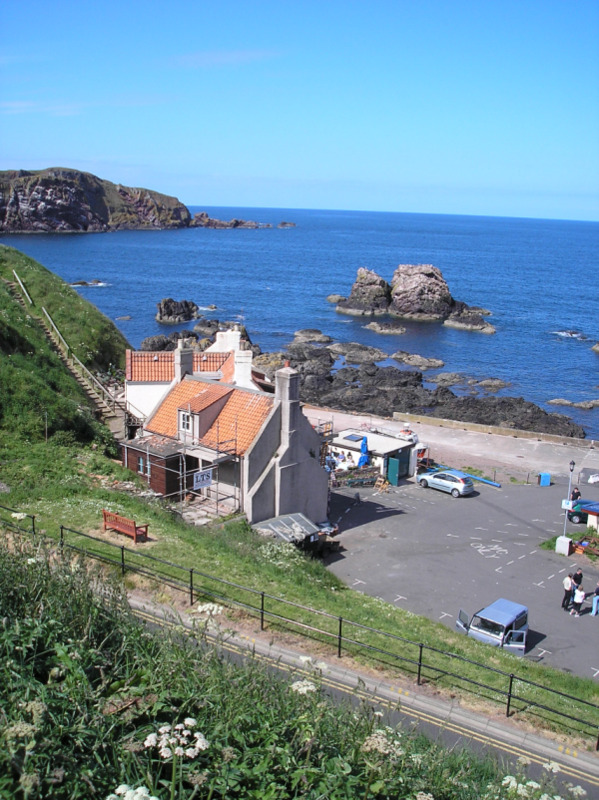 St Abbs is 15 miles north of Berwick-on-Tweed, and 45 miles south of the Scottish capital city of Edinburgh. 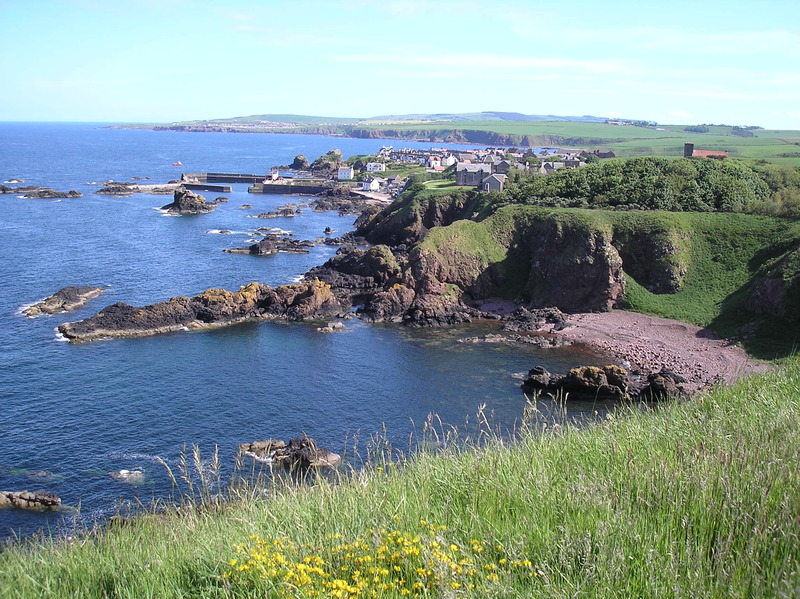 From the North or South take the A1107 off the A1 signposted to Coldingham in the centre of which take the B6438 to St Abbs. 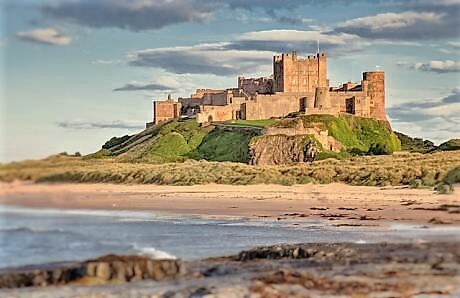 The nearest main line railway station is at Berwick-on-Tweed and the nearest airport is Edinburgh. 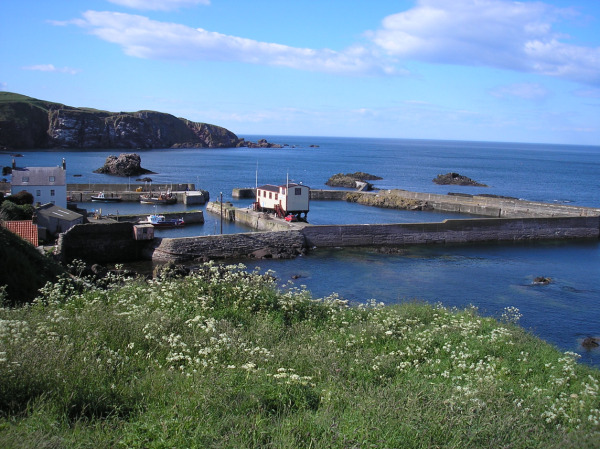 The small fishing village of St Abbs nestles above it's working harbour and lifeboat station and provides an ideal location for a quiet peaceful holiday. Away from the "hustle & bustle" of most peoples every day life. However when the mood takes you it has so many wonderful things to tempt you into the surrounding countryside. 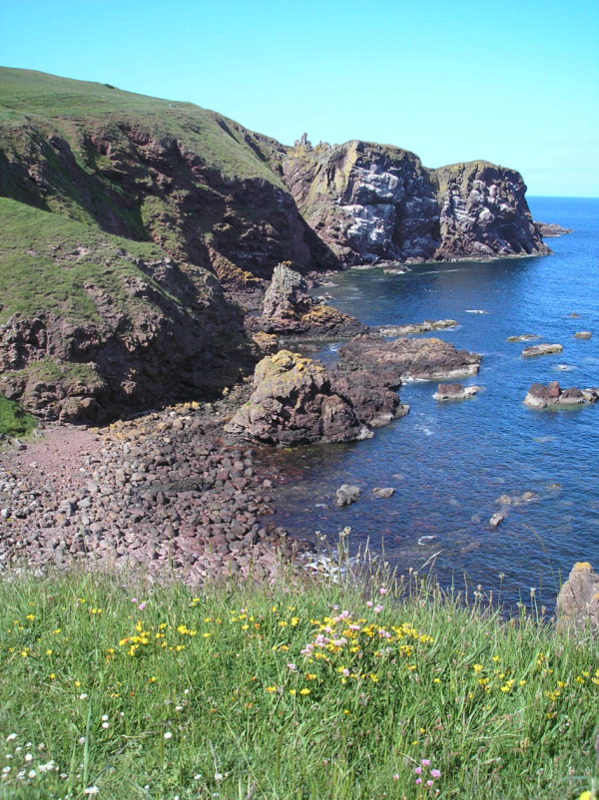 It is just a very short walk to St Abbs Head which is described in the AA Book of Britain's Countryside "as perhaps the greatest glory in the Scottish Borders". 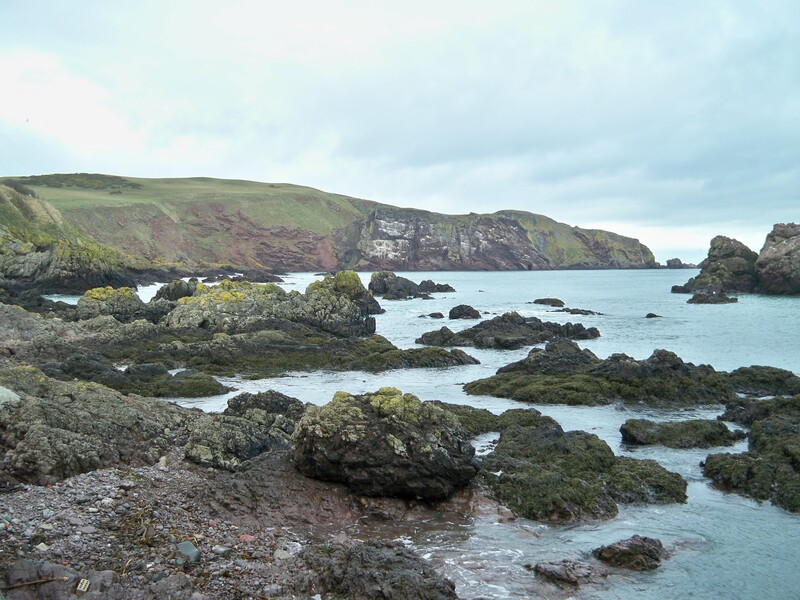 This nature reserve is managed jointly by the National Trust for Scotland and the Scottish Wildlife Trust. The magnificent cliffs are inundated with an extraordinary mass of sea birds during the breeding season. Guillemot, kittiwakes, razorbills, fulmars, gannets, shag, cormorant and small numbers of puffins can all be seen and heard as they fly to and from their nests. 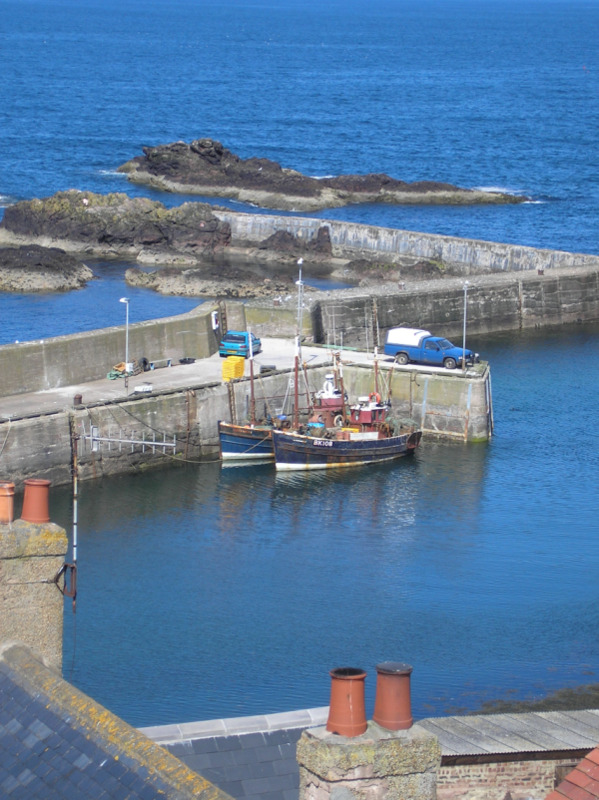 The rocky shore is a haven for seals and rock-pool enthusiasts all the year. Take your pick of the golf courses or walk the Southern Upland Way through the Lammermuir Hills. 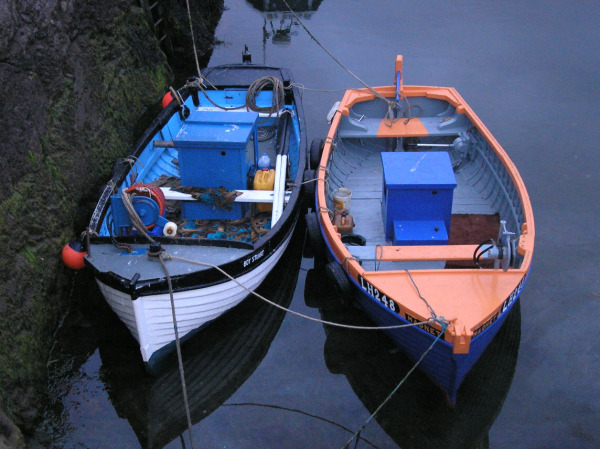 You can sea fish from boat, rocks or the beach and fish from bank or boat for Brown, Blue or Rainbow trout in nearby lochs. 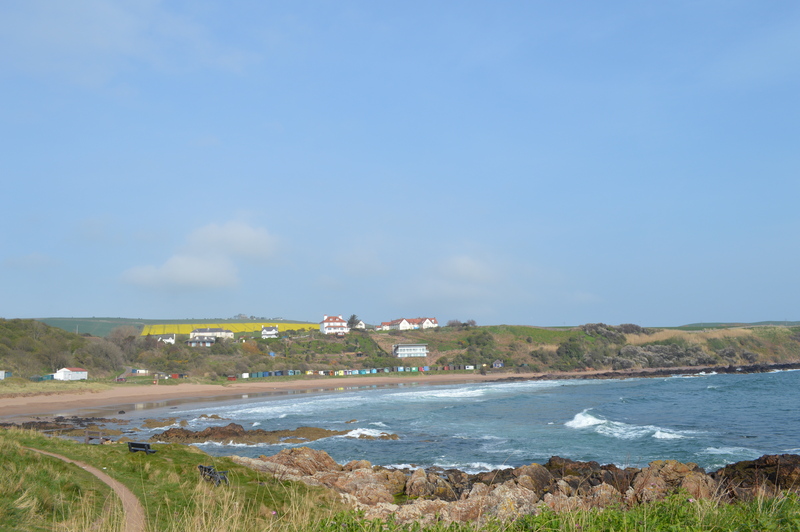 Surfing, riding or just try building "sand castles" on Coldingham beach, which is about five minutes by cliff top walk. The choice is yours. Good restaurants and pub food is available in local villages. 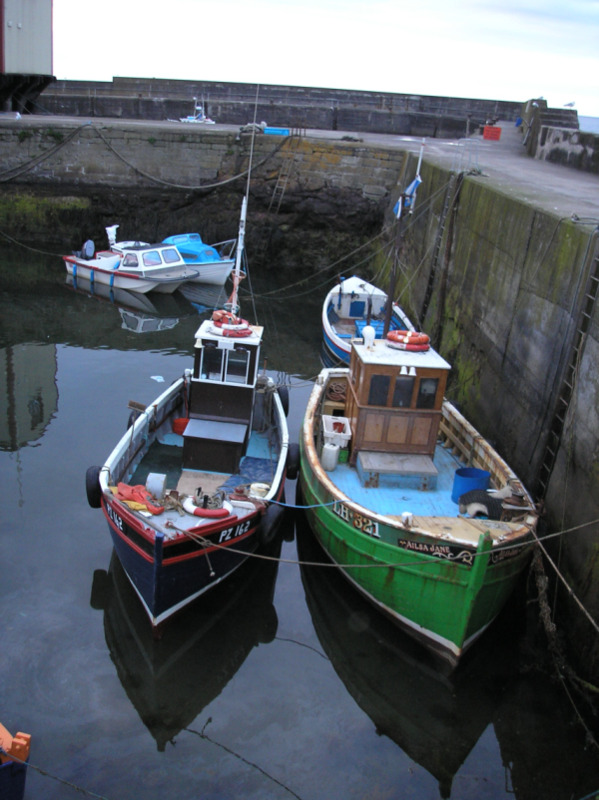 You could take the car or bus to Berwick or Edinburgh for that Special treat. Edinburgh would need more than a few pages to list all it has to offer, but whilst you are this close, enough to say "Don't Miss It".